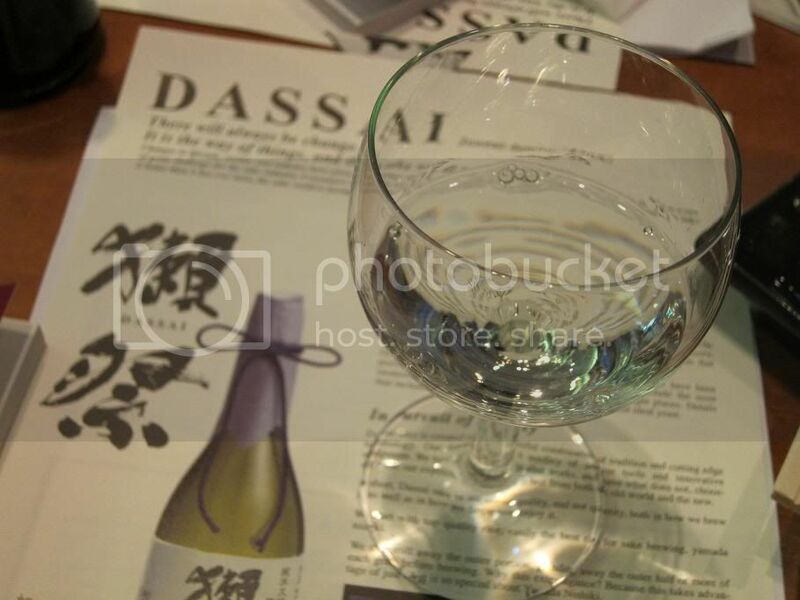 Gourmet Pigs: Dassai Sake Pairing at Sushi Central. 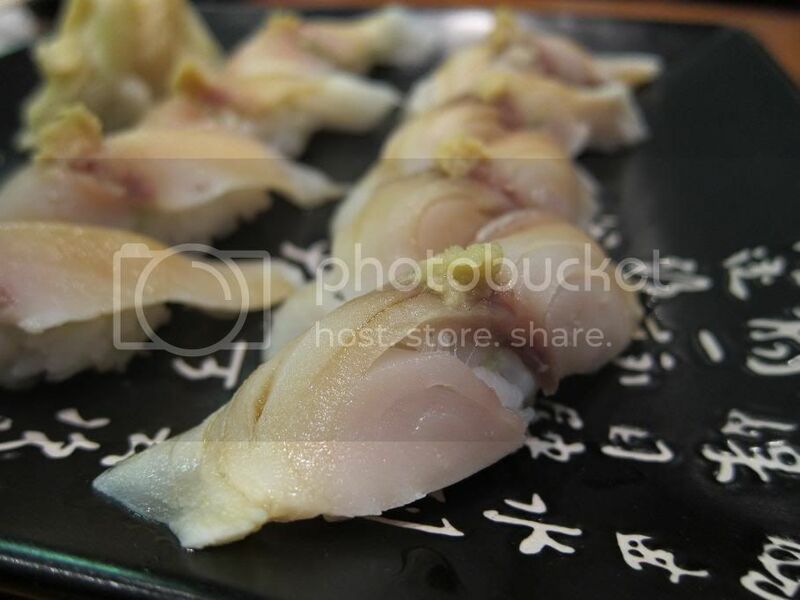 Hamachi sushi paired with Dassai 23 was a revelation. For this pairing we owe master sake sommelier Yuji Matsumoto. 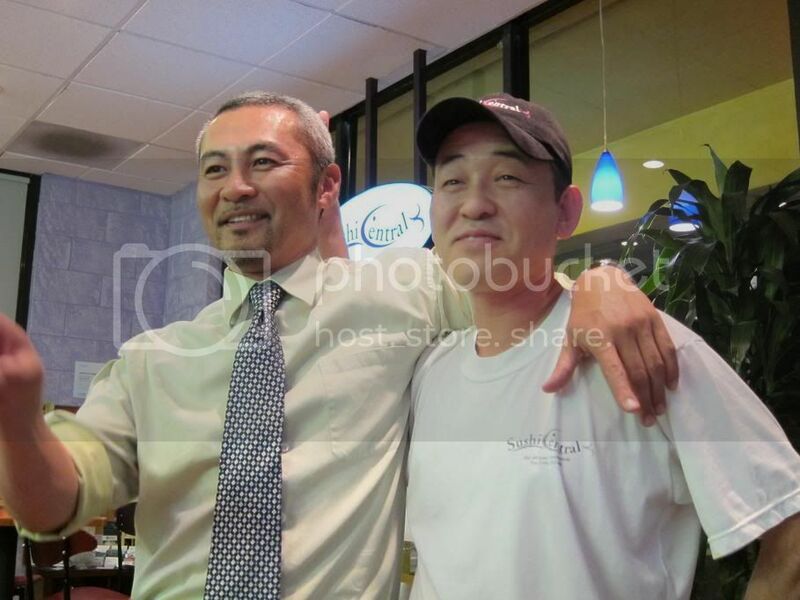 Yuji-san invited us to a sake and sushi pairing dinner was held at Sushi Central, a strip-mall spot in Palms. This pairing featured Dassai sake from Asahi Shuzo brewery in Honshu, which only makes junmai daiginjo sake. I haven't heard of this place until I received the invitation from Yuji-san although now I wondered why that is. Our conversation revealed that the sushi chef, Phillip Yi, was formerly director and instructor of the California Sushi Academy. "Wait, the one in the Trevor Corson book? The Zen of Fish ?" "Yes. He interviewed my wife for that book, she was one of the first female sushi chefs." I've read and own this book. How did I miss this place? Sushi Central also has no alcohol license. You know what that means. Yep, BYOB. Throughout our dinner, local regulars fill the small place and taking out various bottles/cans from a brown bag. Mostly beers and that lovely Charles Shaw two-buck-chucks (I urge you not to ... bring some good stuff instead, this sushi is worth it). While we were waiting for someone to bring the sake, we got to try some ono sushi - somewhat considered a "signature" dish here at Sushi Central and what his regulars affectionately call the "crack sushi." 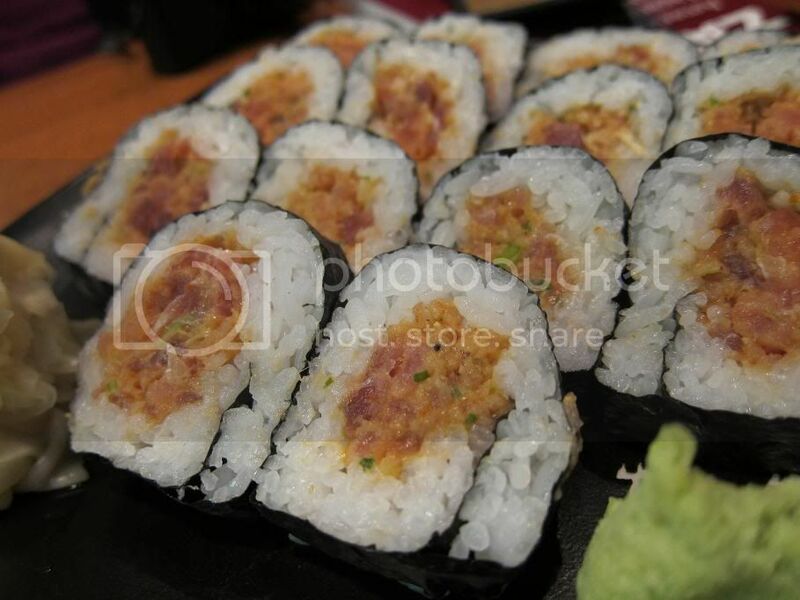 This ono sushi was also the subject of a Bobby Flay throwdown episode. Amazing. The ono was meaty and had a light smoky flavor. Yi served very well-prepared sushi with a nice ratio of fish:rice. Soon our bottles of sake was delivered. The man we need to thank for this was Kazuhiro Sakurai from the Dassai factory in Japan who flew in for three days. He probably didn't fly just to meet us, but we felt special all the same. "Dassai 23." What does the "23" refer to? I know what rum "151" refers to, but nope. Not it. The numbers on sake bottles actually refer to how fine the rice has been polished. 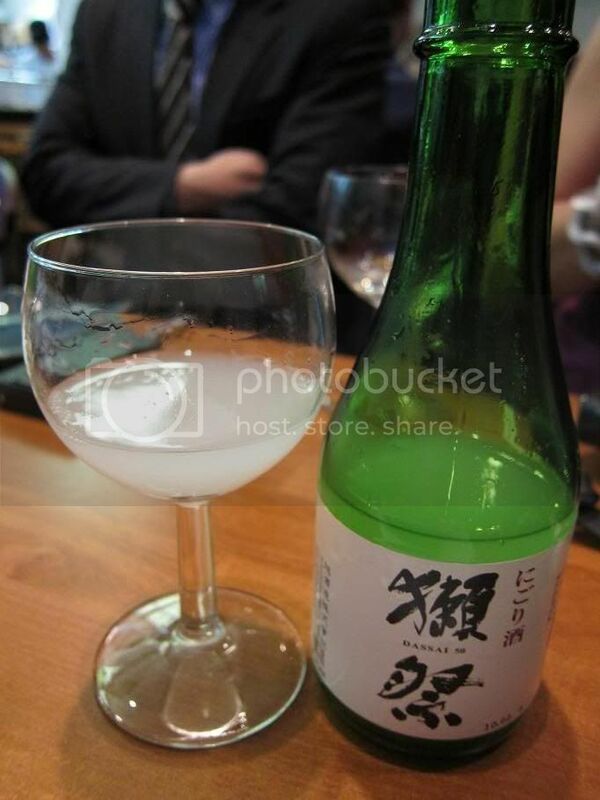 The junmai dai ginjo sake type is the finest and has to be polished at least 50% or lower. Dassai only makes dai ginjo sake. Not sure you can really tell from that photo but there is visible difference in size between the three samples. Dassai "23" means that the rice has been polished until it only retains 23% of its original size. It also takes 3 days and 3 nights to do this, as opposed to 10 hours to get to 70%. 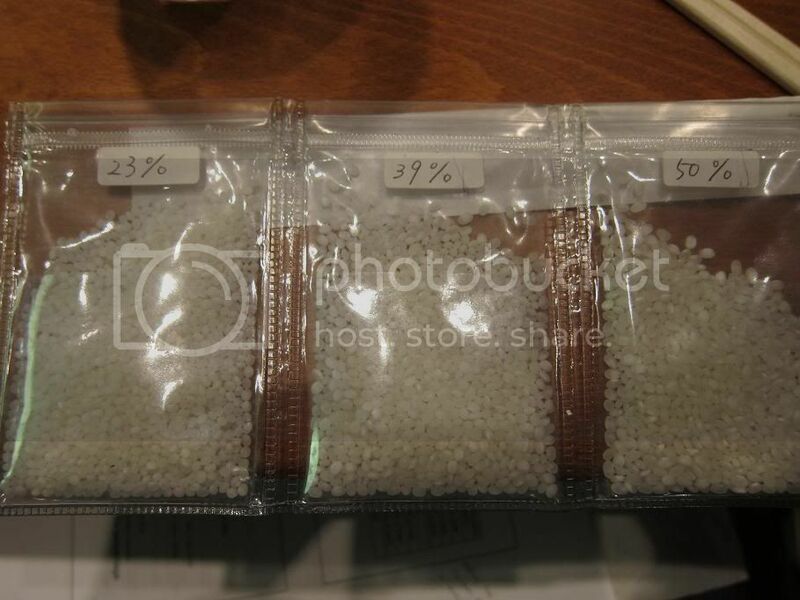 What happens to that other 77% of the rice? Who knows ... I should've asked but did I really want to know ... ? Yuji san started our sushi/sake pairing with the climax: the hamachi and Dassai 23 pairing. 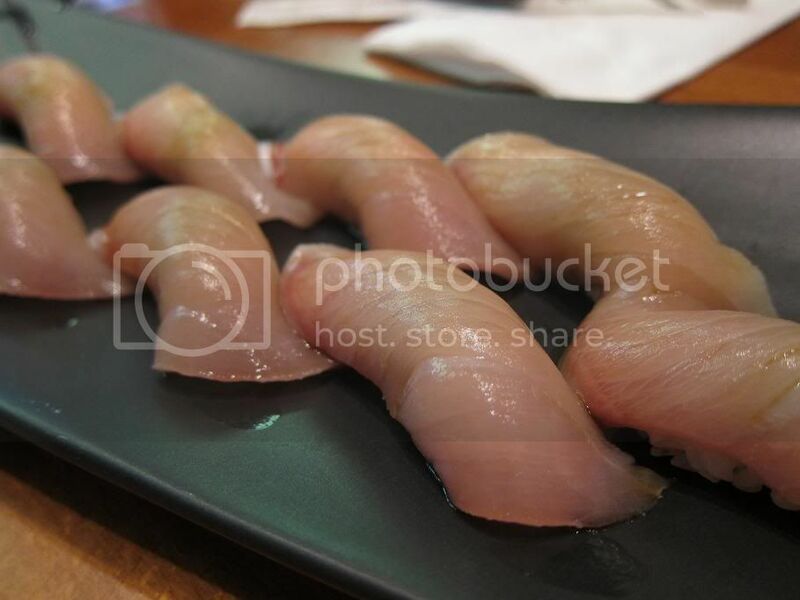 This hamachi is a pretty lean cut. Upon first tasting the Dassai 23, I noted that it smells very fruity. It had a clean, crisp and smooth taste with hints of lychee - perhaps pineapple. 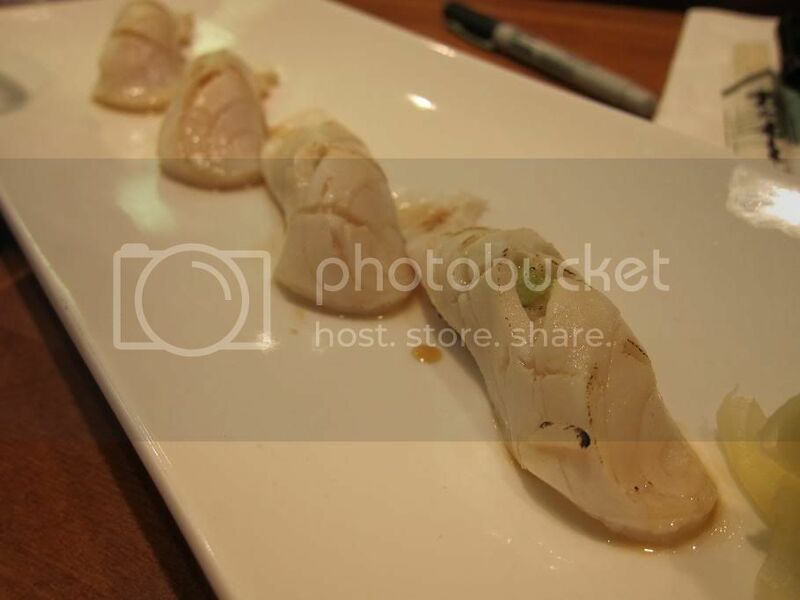 With the yellowtail? The sake transformed into a "rounder", smoother sake. This pairing really brought out the sake. As we move on to some fattier cuts of fish, we also move on to richer sake. The salmon belly was paired with the Dassai 50. The sake was richer and had a fuller body than the 23. This was heavier while the 23 had a much cleaner taste. 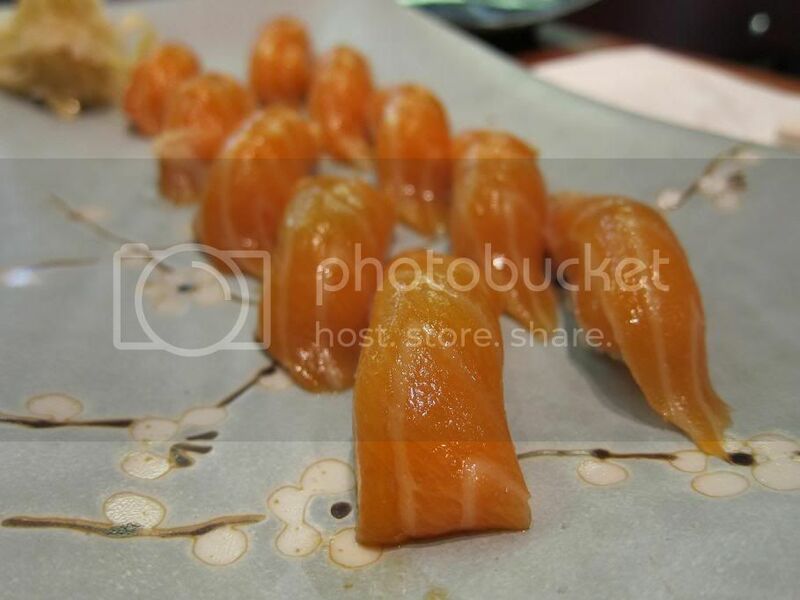 Paired with the salmon belly ,the sake developed a fruitier and mellower taste. Next we had some house-cured saba (mackerel) with yuzu. The saba is not a common sushi as it had the reputation of being too salty and fishy. The house-cured version at Sushi Central is a little salty, but not overpowering. It was tender and had a great texture. This was paired with the Dassai 39 (polished to 39%) which is only available in Japan. Neither the sake nor the fish overpowered each other. Spicy tuna roll came next, paired with an unfiltered daiginjo sake (Daiginjo Nigori). 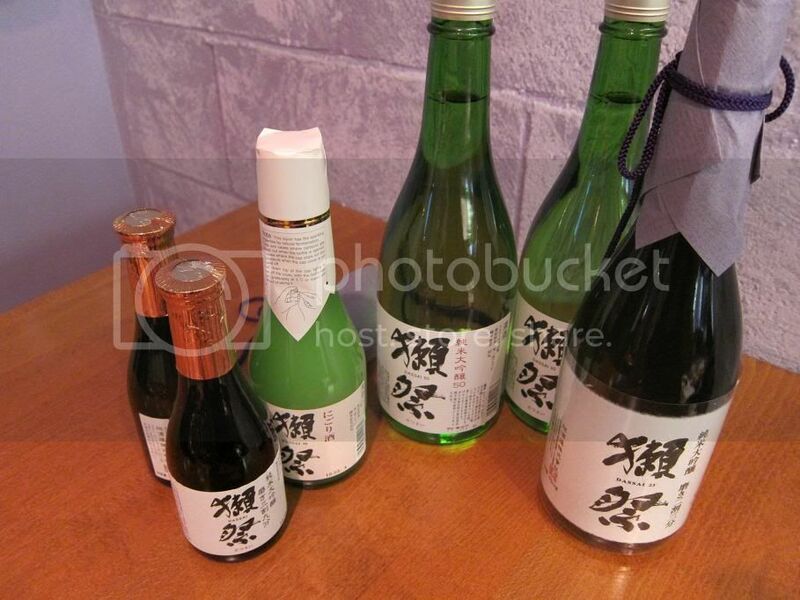 The Dassai Daiginjo Nigori is a dryer nigori than what you're probably used to. The fermented smell reminded me of the nanchy drink I had in Tijuana. 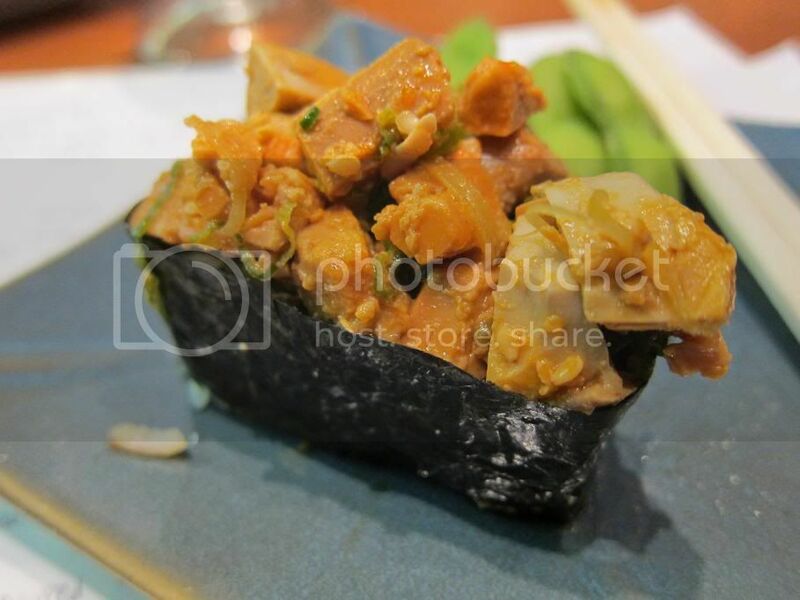 While the previous pairing focused more on the sake, the nigori sake cuts through the spiciness of the tuna and enhances the flavor of the sushi. The classic near-end of a sushi meal: kani (crab) roll. This was a great crab roll. We moved back to the Dassai 50 sake, which worked well with the butteriness of the crab. 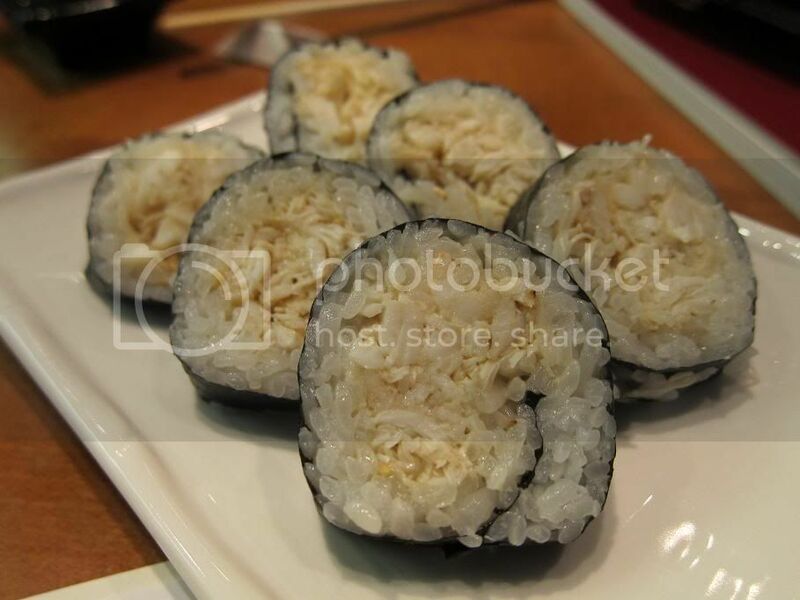 We also had an ankimo roll. I enjoyed this as the ponzu sauce isn't as acidic as many - it had a subtler acidity that works nicely with the ankimo without overpowering it. I've had the Dassai 50 before while dining at Hachi and while I already liked it quite a bit there, this tasting brought me beyond. On top of that, I discovered a gem of a sushi place. PS. Chef Phillip Yi also holds a sushi class every last Sunday of the month. 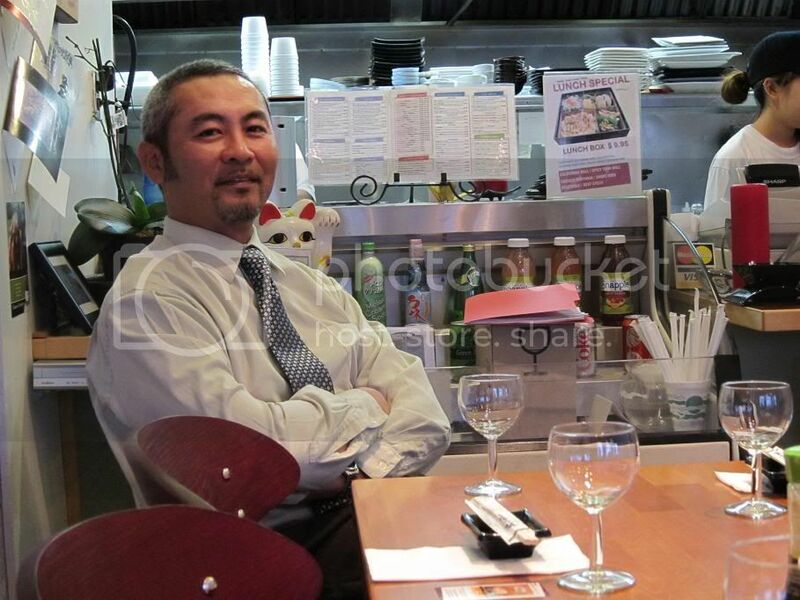 Yuji Matsumoto will be giving a seminar during the LA Sake Festival on March 27. He's also planning a sake/cheese tasting event, so stay tuned. Read Shop Eat Sleep's post here and e*starLA's post here. Disclaimer: This meal was hosted and the sake provided by Dassai.